With the showpiece event just a year away from kicking-off, the event has already attracted 900,000 new rugby participants as part of World Rugby’s ambitious Asia 1 Million legacy project. The governing body ensured to make the maximum out of the upcoming edition of World Cup - which is the first time that is conducted outside the traditional Europe and southern hemisphere and could also be the last time in Asia for at least a decade irrespective of the outcome. As momentum builds over social media and advertising we are beginning to Preview the 2019 Rugby World Cup, and how the groups will play out with one participant still to be decided in Pool B, the 'repechage' winner. With a joint partnership of Asia Rugby and Japan Rugby Football Union 30,000 new rugby participants joined Get Into Rugby programmes across Japan with a further 200,000 schoolchildren in Rugby World Cup host cities introduced to tag rugby following its inclusion in the physical education curriculum of 1,982 schools in the Rugby World Cup host cities. “Japan 2019 is shaping up to be World Rugby’s most successful legacy programme to date and with one year still to go, is already setting a gold standard for engagement across the sporting spectrum," World Rugby chairman Bill Beaumont said. “Creating a sustainable legacy is a central pillar in our major event planning and delivering a tangible, long term impact beyond the six-week event is critical to the event’s success. 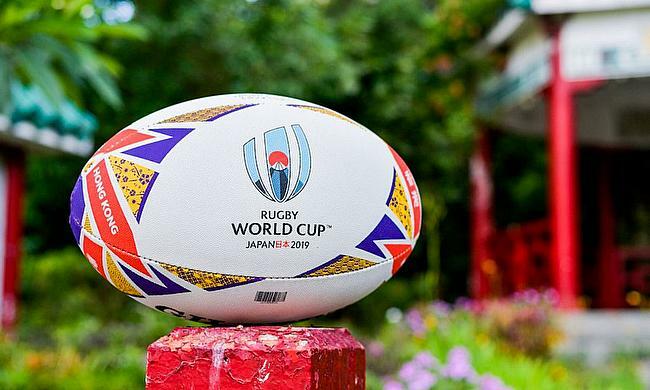 Inspiring interest in rugby across Asia was one of the core reasons for bringing the Rugby World Cup to Japan and the Impact Beyond programme is right at the heart of Rugby World Cup 2019". The preparations were not without difficulties too. As the national stadium in Tokyo will not be ready before the event, the final was shifted to Yokohama while a broken roof during the June Test between Japan and Georgia saw fans soaked. With New Zealand set to play Australia and Japan Yokohama and Tokyo respectively in the coming weeks, it will give us a feel of what the atmosphere will be in the build-up to the event. More than anything the fans travelling to the country will be in for cultural shock with World Rugby already instructing the players and fans to cover their tattoos to respect the local culture while the language barrier will be another issue to be dealt for the visitors. Nevertheless, Japan has already made the upcoming World Cup as the most 'impactful' edition until now and most of the credit goes to the spirit of the organisers and fans in the country and we are in for a treat as the tournament heads to Asia for the first time since it's inception and is surely expected to be a memorable one.